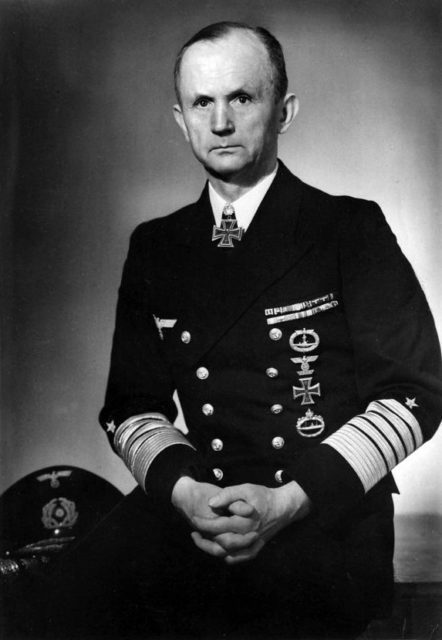 Karl Donitz, the Commander in Chief of the Kriegsmarine (Navy of the Third Reich), served as the last president of Nazi Germany. 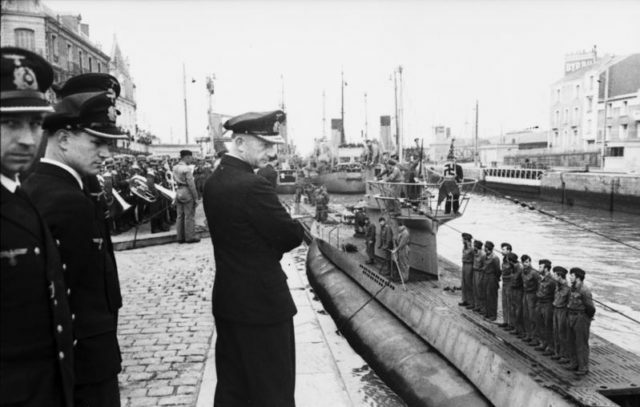 He was also the creator of the Reich’s German U-boat fleet and a very proactive naval leader. In 1916, having served on battlecruisers and at an airfield, Donitz asked to be transferred to submarines. Two years in, aboard the UB-68 in the Mediterranean, he was sunk and taken prisoner near Malta. Even though the war ended during his imprisonment, he wasn’t released from the POW camp near Sheffield in Great Britain until 1920. Donitz’s strategy was to have several U-boats lurking and waiting for Allied ships, preferably in convoys, to pass. The first boat to spot an enemy ship would rally the others to converge like a wolf pack and then attack. The tactic worked well for him – until the Allies invented microwave radar. During the first world war, Donitz had brought Britain to the edge of starvation with intense submarine warfare, keeping supply ships from Britain. His strategy was to sink as many ships as possible to cut off Britain’s food sources. Donitz was so particular about knowing everything his boats were up to that he contacted them over 70 times a day. He wanted to know where they were, how much fuel they had, and other small details. 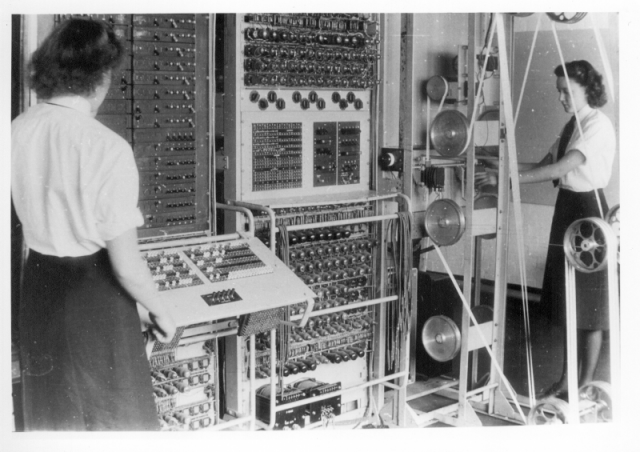 Those 70 or more communications had 70 or more replies, and all of that back and forth gave Allied codebreakers a lot of material to work with. It also allowed Allied naval ships to ascertain their position and attack them easily. While there are stories of Nazi officers, pilots, and soldiers valuing the lives of wounded enemy soldiers, civilians caught in crossfire, or pilots and sailors shot down or sunk, Donitz wasn’t one of them. 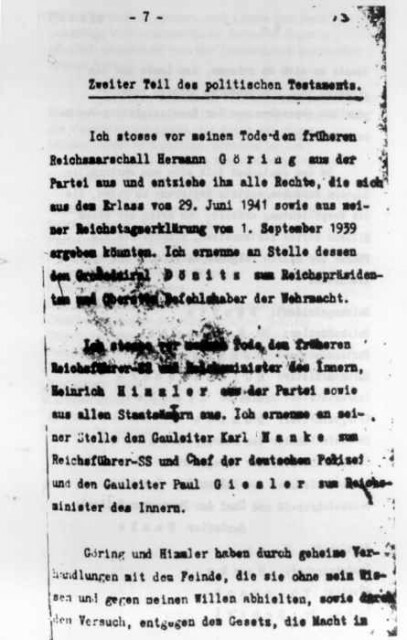 In his last days, Hitler became disenchanted with his top men, Goring and Himmler, and penned a will that would name Donitz as President and Supreme Commander of the Armed Forces and Joseph Goebbels as Chancellor and Head of Government. 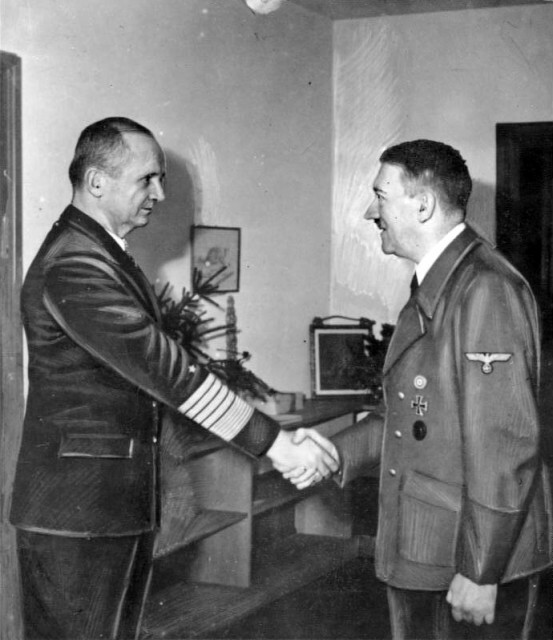 When Hitler and Goebbels both committed suicide, Donitz stepped into leadership and appointed Ludwig Schwerin von Krosigk as leading minister. Together they tried to keep the government intact. 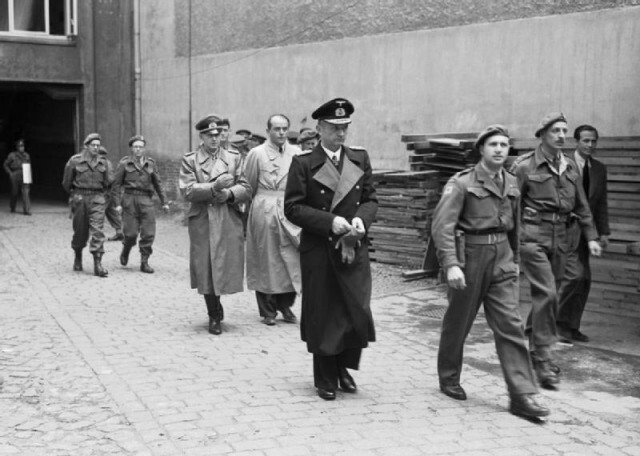 Both made a hasty retreat from advancing forces and from their secured position in Flensburg-Murwik, they oversaw the surrender of the German armies to British or American forces, rather than to the Russians, as he feared the Soviets would deal with them more harshly. Donitz believed it was ridiculous to try a head of state for war crimes. Additionally, he claimed that he knew nothing of the treatment of the Jews and that in his service he committed no crime. Nimitz did provide an affidavit that stated that he too had engaged in unrestricted submarine warfare and that he supported its use. 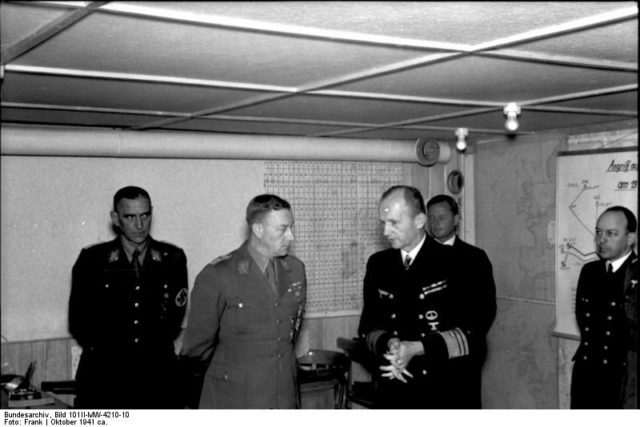 This is seen as one of the major reasons Donitz received a far lighter sentence than other German officers, despite his being close to Hitler. 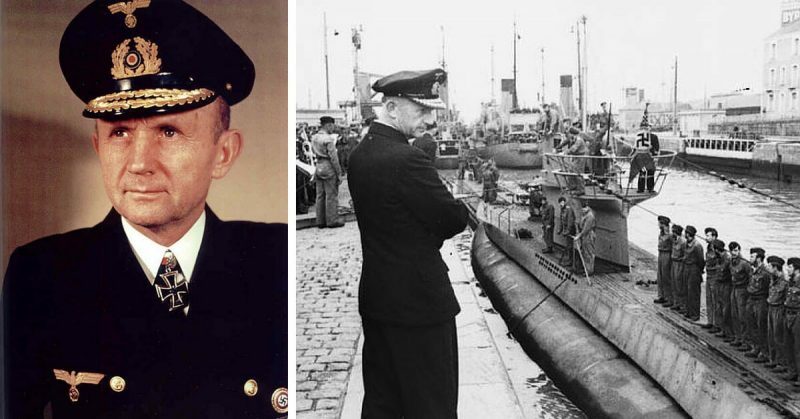 The government of West Germany didn’t think that Donitz deserved anything more than the pension of a captain, but Donitz fought that decision. The government’s position was that he only reached the rank of admiral because Hitler favored him, and not on his own merit. Donitz took it to court and won, receiving the full pension of an Admiral until his death from a heart attack in the small village in which he lived out his remaining quiet years. Karl Donitz never believed that he should be held responsible or be placed under societal judgment for the atrocities performed by the Nazis. He believed that he lived up his own convictions as an officer, dedicated to duty.